The most recent of quite a number of articles about visiting the Mani that I have seen of late. This being the best, written by William Dalrymple. First published in the Financial Times, 28 August 2015. 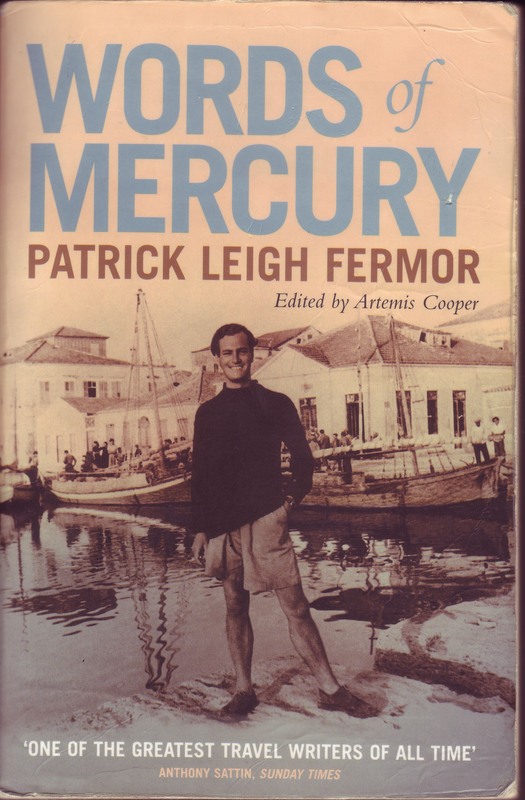 I first came to the Mani through the pages of my literary hero and travel writing guru, Patrick Leigh Fermor. Paddy, who was once described by the BBC as a “cross between Indiana Jones, James Bond and Graham Greene”, published Mani: Travels in the Southern Peloponnese, in 1958. 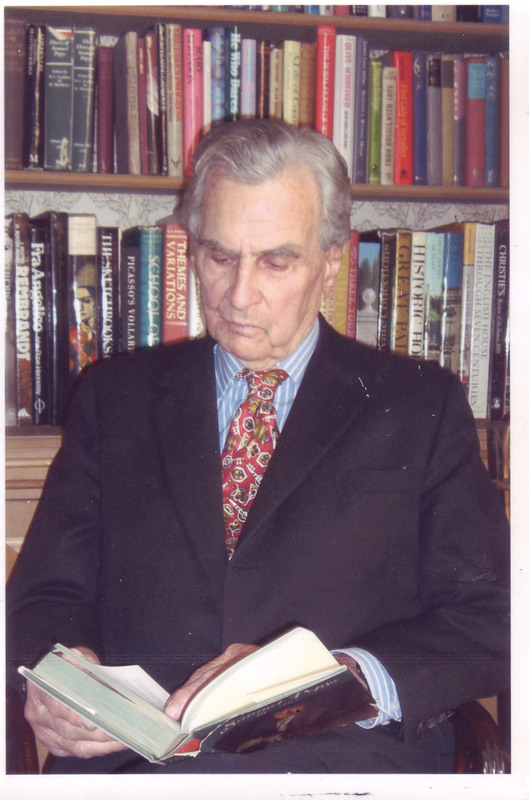 It was the first non-fiction book he wrote about Greece, and in many ways it is his most passionate: a love song to the middle prong of the trident-shaped southern coast of the Peloponnese. This was the place where he had been happiest, and the destination he would eventually pick in which to settle down, and spend the final years of his life. For Paddy, the Ottoman Mani was to Greece what Cornwall was to 18th-century Britain: the most remote of places, cut off from the rest of the country by distance, unpredictable tides and wild cliffs, the abode of brave brigands, chivalrous smugglers and gentleman pirates. It was, he liked to point out, the southernmost point of mainland Greece: only a few islands intervene between Cape Matapan, the tip of the peninsula and location of the cave which the ancients believed to be the Mouth of Hades, and the shoreline of north Africa. Many years later, shortly before his death in 2011, I went to stay with Paddy at the house he built in the Maniot village of Kardamyli. His villa was the most perfect writer’s house I have ever seen, designed and partly built by the man himself in an olive grove a mile outside the town, and with a view out to a small coastal island. Each morning, until a heart bypass prevented him, he would swim around the island, before returning home for breakfast. Since Paddy’s death, however, the house has been given to the Benaki museum in Athens, and on my most recent visit I could only drive past it with a melancholic wave. Instead I headed on a further 90 minutes southwards, past tavernas hung with vine trellising, past chapels with red pepper pot domes, through stripfields and a patchwork of walled olive groves. These lower slopes rose to steep and arid hilltops, and it was on one of these, above the whitewashed village of Kotronas, that lay the beautiful house where I would be staying. It dominated a blue, mirror-like bay on the south-east coast of the peninsula and it was here, watching the ships come and go below, and with the mountains rising on all sides, that I planned a succession of treks into the deep Mani to see for myself the landscapes that Paddy had described so lovingly in his book. To my surprise, the more I walked in the cactus-haunted hills, through spires of yellow verbascum and the seed heads of dried grasses as straight as miniature cedar trees, the more I found that the wildness of the Mani reminded me less of the bucolic Mediterranean than the bleakly beautiful mountains of the north-west frontier of Pakistan. For both the turbulent Maniots and the Pashtuns have an ancient tradition of blood feuds, which has led them to live in the fortified towers that are still the dominant architectural feature of their regions. In both, every man is a chieftain, and every farm a fort. Such a moment came in 1826 when the Ottoman commander Ibrahim Pasha arrived, intent on crushing the resistance of the most independent-minded of all the Sultan’s Greek subjects. From the point of view of the Sublime Porte, the Maniots were merely pirates and brigands, and a thorn in the flesh of honest Turkish shipping going about its business in the Mediterranean. The Maniots had a rather different view of themselves: as the flower of Hellenic chivalry and the last pure-blooded descendants of both the ancient kings of Sparta and the emperors of Byzantium. Both sides were spoiling for a fight; and they got it. To block Ibrahim’s advance, the Maniots concentrated their forces at Verga, the entrance to the desolate passes of the Taygetus mountains, in the extreme north of the region. Ibrahim therefore decided instead to launch a surprise marine attack on Areopolis, far to the south, which the patriots had left undefended. Ibrahim successfully landed 1,500 Egyptian troops on the shingle beaches in Diros Bay, south of Kardamyli, a magnificent natural cauldron where the peaks of Taygetus dip down to the blue waters of the Aegean, so clear, even today, that it is said you can still see the wrecks of galleys lying on the seabed below. Soon the Ottoman troops were marching inland, up the coastal paths, looting as they went, and heading for the walls of Areopolis. Will lop off your heads like corn! Within a few hours, those Egyptians who lived to tell the tale were running headlong for their boats. Only a third were rescued; the rest fell where they stood on the beach. That, at least, is the version of the story they tell today in the Mani. Modern travellers to the region may end up feeling a certain sneaking sympathy with the Egyptians; for the descendants of those feisty Maniot women are still alive and well, and today they guard the keys to their village churches as determinedly as they once defended Areopolis. As Paddy knew, and wrote about so beautifully, the Mani contains some of the most ancient and Byzantine chapels and basilicas in Greece, dotted around olive groves above steep coastal cliffs; but any traveller who wants to get inside and see their celebrated frescoes must first find the guardian grannies who keep the keys, and then persuade them to disgorge them and to let you into their carefully tended holy places. This can be more difficult than it sounds. On one occasion, trying to get inside the famed 11th-century church of the Taxiarches at Charouda, I was directed to the door of Antonia, a black-clad matriarch in widow’s weeds who looked so ancient she could almost have lost her husband to Ibrahim Pasha’s Egyptians. Yes, she said, with deep suspicion in her voice, she did hold the keys, but no, this was the time of her lunch. I should come back in an hour. I did as I was bid, only to find she was taking her siesta. Deciding to walk along the coast until she woke, I returned only to be told she was unable to take me to the church as she was feeding her great-grandchildren. Then she was putting out fodder for her donkeys: wouldn’t I like to come back tomorrow morning? It was well past 7pm when, after a lot of begging and pleading, a huge primeval key was finally, reluctantly flourished and I followed the bent-backed matriarch to the church on the edge of the village. The sun was now slowly sinking over the hills at the end of a hot day; from the higher slopes, the tinkle of unseen goat bells cut through the background whirr of cicadas as shepherds led the flocks back for their night. The church — in truth it was barely larger than a chapel — was very small, but very beautiful. It had a domed, tiled roof and round arcaded windows, whose brick tiles were made from fired red mud. It lay in a rocky graveyard dotted with oleanders and ilexes at the edge of olive groves, and was built from stone the colour of halloumi cheese. Only when Antonia finally ground the key in the wards of the ancient lock, and had crossed herself several times, was I allowed to step inside. Nothing prepares you for the darkly melancholic and baleful beauty of the wall paintings of the Mani churches; but remote as it is, the church of the Taxiarches at Charouda is especially fine. The anonymous painter had a particular quirk of giving some of the saints a black triangular lower eyelid. The intention seem to be to enhance their gaunt asceticism and melancholic sadness, but I thought it gave them a look oddly like the buffoonish Pierrot in the Commedia dell ’Arte. A grim-faced Christ Pantocrator glowers down from the decorative brickwork of the dome, hands opened and upheld as if in surprise at the wonders of his own creation. Below him, ranks of cherubim and seraphim stand with their wings raised. A phalanx of prophets line the lower drum; nearby stylites preach from pillars; and patriarchs in monochrome vestments like Malevich abstracts grip their bibles and proudly display the instruments of their martyrdom. More martyrs have their flesh ripped and eyes gouged out over the walls of the nave, the background landscapes to both virgins and saints as high and mountainously craggy as the Taygetus themselves, the men and the jagged rocks of the mountains sharing a clear affinity, and a similar angularity. The most beautiful images of all lay at the west end, near the porch where the matriarch Antonia still stood silhouetted by the last rays of the sun. That light, reflecting off the foot-polished stone floor, illuminated a pair of youthful Byzantine soldiers: a young, swaggering St George astride his white charger, all glittering armour and levelled spear, while standing at ease slightly to his left, leaning on his javelin, was a swarthily beautiful St Demetrius with a glistening mail coat, a bow slung over his shoulder and sporting a single, rather dandyish earring; the very model of Maniot resistance to the encroachments of the outside world. Looking both at Antonia, and the St Demetrius, it was no longer impossible to believe the old legends: that these remarkable, tough, independent Maniots really were the last descendants of Spartans who took refuge here when their hegemony beyond the Taygetus was finally destroyed, their struggle finally over. Read more about where William Dalrymple stayed here. This entry was posted in In Paddy's Footsteps, Mani, Paddy's Houses and tagged Greece, Mani, Patrick Leigh Fermor, William Dalrymple on September 14, 2015 by proverbs6to10. John Humphrys travels to Greece, to the village of Kardamyli in the Mani, to explore the life and work of travel writer Patrick Leigh Fermor. Fermor is arguably the most influential travel writer of the 20th Century. At the age of eighteen he took off, with notebook in hand, on a walk across Europe. During the Second World War he fought in Greece and Crete, and is still remembered in the country today for his daring exploits with the resistance. His most celebrated action came in 1944 when he led a commando operation to abduct the German General Heinrich Kreipe. In the early 1960s he moved to Greece, to the Southern Peloponnese. He built a house in the village of Kardamyli in the Mani. It was here that he wrote much of his most celebrated work and where he remained until his death in June 2011. John Humphrys visits Fermor’s village to explore the influence that Greece had upon his life and work, and also to consider the impact that he had on the village and the people he lived alongside. John visits Fermor’s former home, now in the care of the Benaki Museum in Athens, and discusses the plans for its future. He meets those in the village who met Leigh Fermor when he first arrived in the 1960s – a man in his nineties recalls how they “danced on the tables into the night” – and he hears tales of influential guests, great writers like Bruce Chatwin and John Betjeman, even a King and Queen. 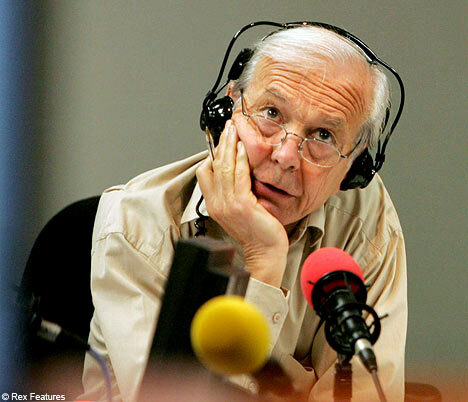 Accompanied by Fermor’s book ‘Mani: Travels in the Southern Peloponnese’, John Humphrys also travels into the deep Mani, one of the remotest, wildest and most isolated regions in Greece. Visit the BBC website here for further details. This entry was posted in Profiles of Paddy and tagged BBC Radio 4, Greece, John Humphrys, Kardamyli, Mani on June 19, 2015 by proverbs6to10.